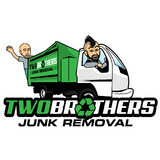 Two Brothers Junk Removal offers quick, professional and courteous junk removal services. Our services range from appliance pick up to estate clean outs. 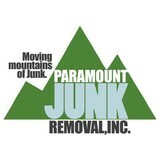 We offer the BEST Junk Removal Services in Westchester/Putnam/Dutchess County! Legally permitted to remove anything from household items, construction debris, garbage, and yard waste. We are fully committed to each customer, working around your schedule and meeting your needs exactly the way YOU desire, we take care of everything you wont have to lift a finger. Anything we remove that is in good condition will be offered to people in use or donated so your junk becomes someone else's treasure. Anything in bad condition will be brought to the dump and disposed of in an environmentally safe way or recycled. We serve both residential and commercial customers and get the job done safely and efficiently. Best of all, the price we give includes everything from labor, dump fees, and hauling. We're locally owned and operated, so gives us a call now and we wont let you down! Dumpster Rentals for the Homeowner and Contractor alikewith working Man prices. Much more for your money. family owned and operated same day service dumpster rental, moving service and junk removal service. Professional friendly staff, owner on site, clean safe dumpsters! Been in business over 14 years! Do you have excess junk inside or outside of you house or office? If so then contact your Local Boys to get rid of it for you. We service Putnam County and Westchester County to have the ability to get to the customer as quick as possible. We will handle home foreclosures, home/garage clean out, car/boat removal, furniture removal, carpet removal, office clean out, storage facility clean out etc. Anything you need gone, we will be more than happy to properly dispose of for you. Haha Movers a professional moving company based in New York, operating in several states across the United States. What makes our company is unique is that our employees are professional movers by the day and comedians by night. Charter Oak Carting has an inventory of dumpsters consisting of 2,4,6,10,12,20,30 cubic yards. 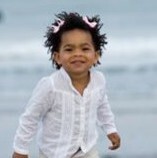 We pride our company on great pricing and fantastic customer service. Please contact us 203-970-0970. SOLARI BROTHERS CARTING is a 10 yard, 15 yard, and 20 yard roll off container service located in Old Saybrook, Connecticut. We offer commercial, industrial, and residential roll off service throughout Middlesex, New London, New Haven and southern Hartford counties. SOLARI BROTHERS CARTING is family owned and operated and always puts the customer first striving to provide quality service at competitive prices. Our goal is to provide prompt, dependable service to customers on a personal level. With all the stress of moving, Bronx Movers will alleviate all your worries and take extra care of your valuables. With 18 years of experience, our Bronx moving company has been providing quality service at the lowest prices to all of New York City. Whether you are planning a residential move or a corporate relocation, Bronx Movers will get you there hassle free. To or from Bronx, Manhattan, Brooklyn, Queens, Staten Island or Westchester, to anywhere in New York State or nationwide, give us a call for all your moving needs. Bronx Movers will provide you with a free, no obligation on site estimates. With a full range of services from packing, moving, unpacking and storage, we will provide you with an accurate low price for all the services that you require. Our Bronx Movers relocation moving team will exceed all your expectations and provide you with a piece of mind at the best price. So call us at (646) 504-7670 or fill out our free on-line estimate form. There are full-service junk removal companies in Waterbury, CT that help with everything from clutter and hoarding cleanups to appliance recycling to donating unwanted items. Keep in mind that you may need professional help removing certain items from your home, particularly if they’re toxic or unstable. Here are some related professionals and vendors to complement the work of junk removal: Tree Services, Environmental Services & Restoration, General Contractors, Home Builders, Landscape Contractors. Find rubbish removal professionals on Houzz. Narrow your search by city or zip code for a list of Waterbury, CT rubbish removal services. Get contact information so you can ask about rates, and read customer reviews to find the best rubbish and trash removal service for your home improvement project.